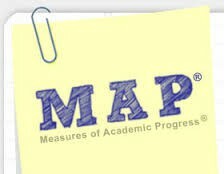 Parents, from January 22nd- February 1st our campus will conduct middle of the year MAP testing for grades 6 thru 10. Below is a visual of the testing schedule which contains the date, grade, and subject. Please make sure that your students are in attendance. The Importance of MAP Testing Make Sure Your Voice is Heard!